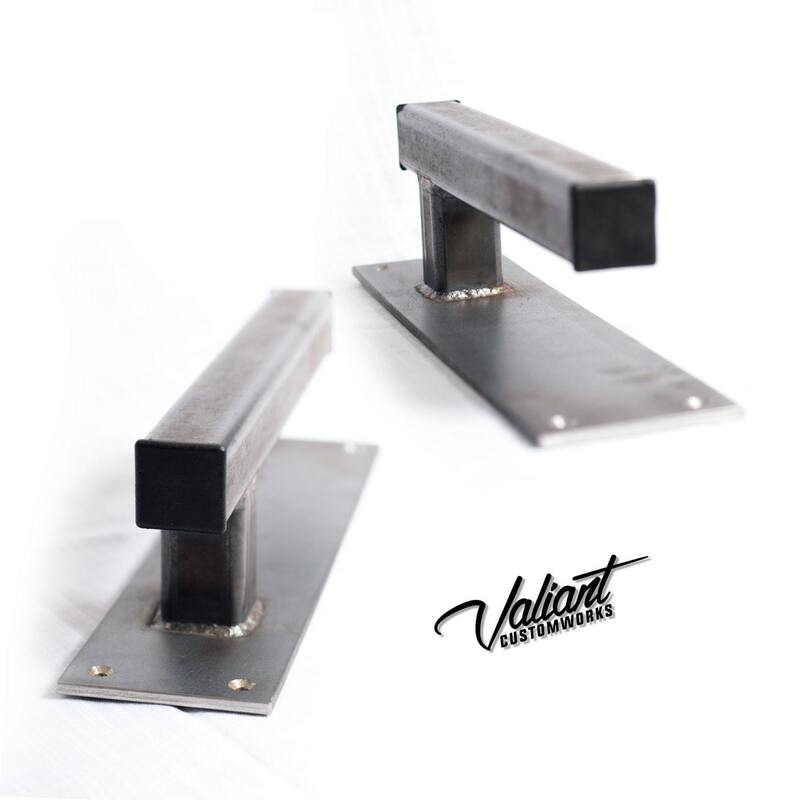 These are made of the same 1.25" square steel tube our larger barn door handles on a beefy 3" backer. 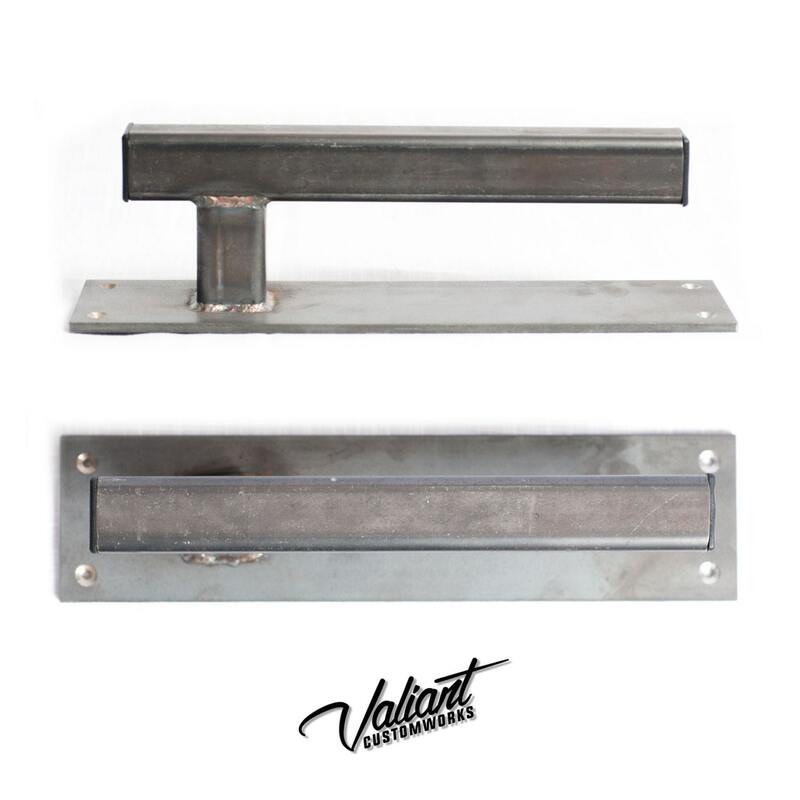 Excellent for exterior or commercial use - help add an industrial heavy duty vibe to your space. 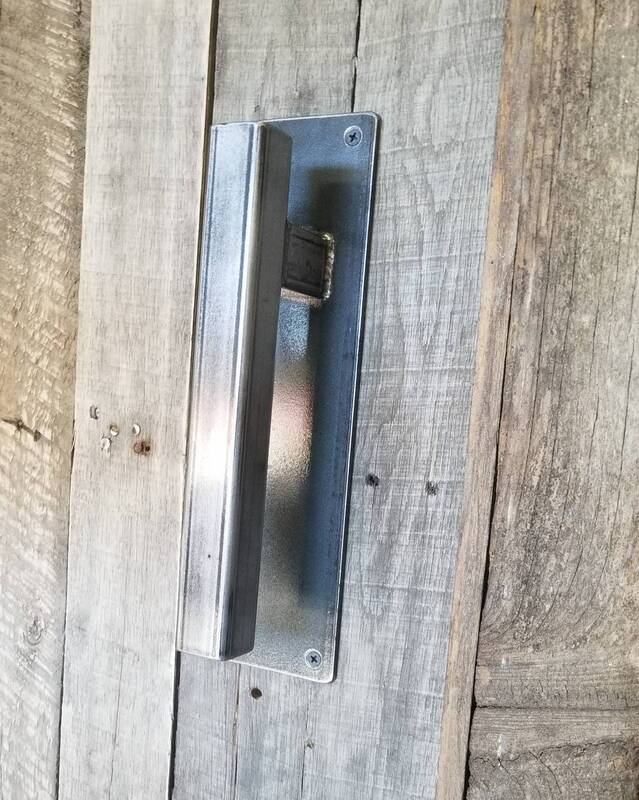 Great for loft / barn style rolling doors, too! 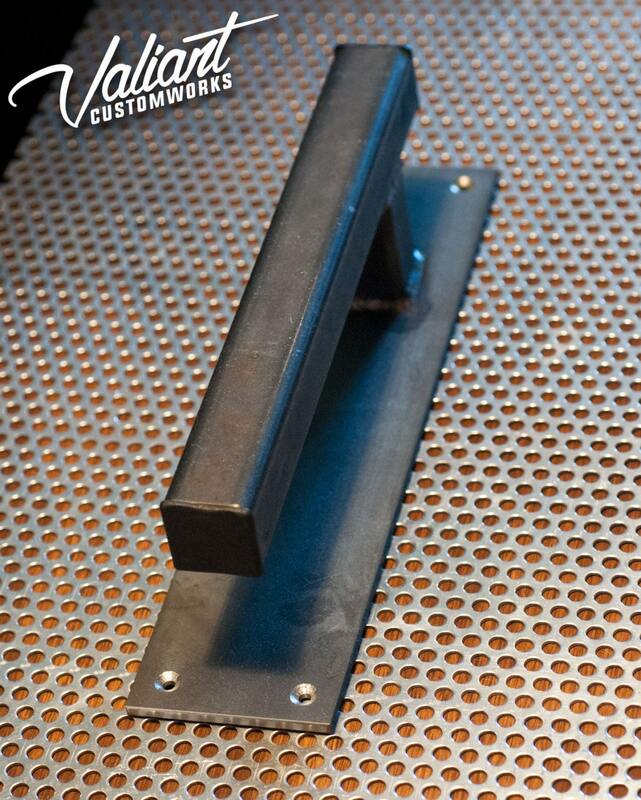 We usually clear coat the pieces to make the beautiful mill-scale steel pop, but, they can also be ordered painted. 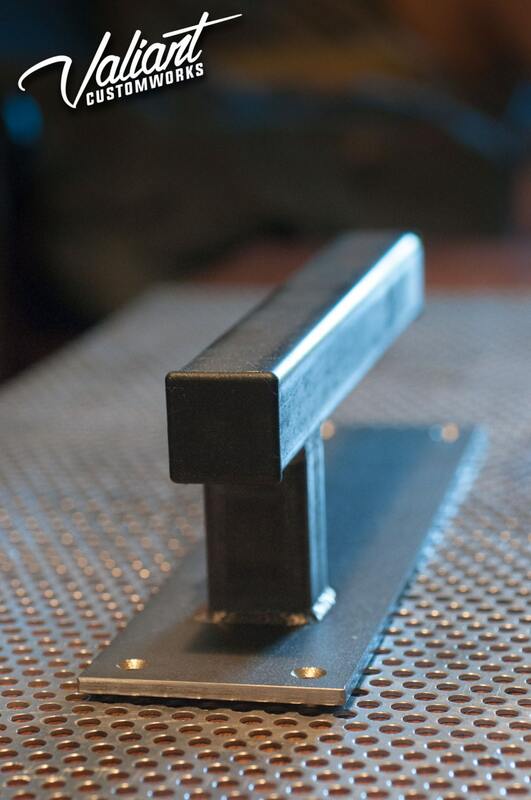 great looking handles! 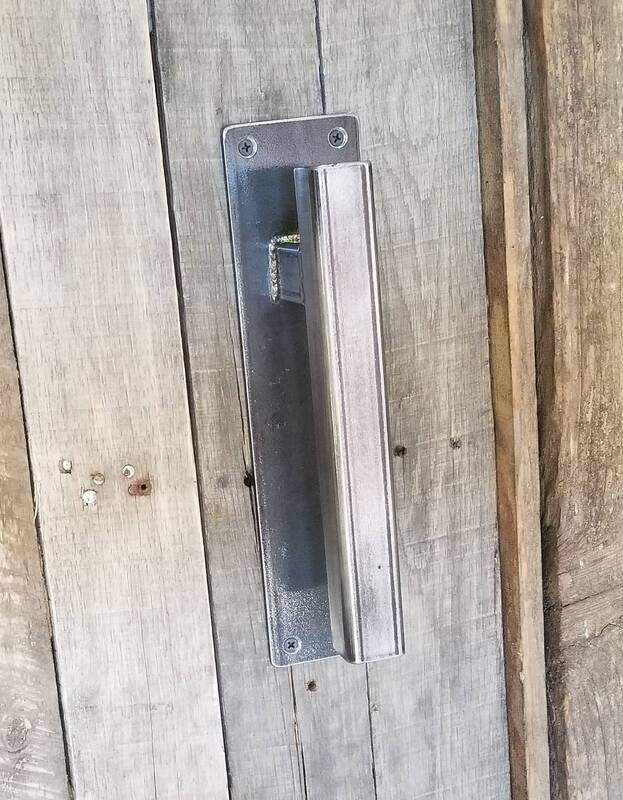 one of the handles was bent pretty severely upon arrival. the owner/maker agreed to make a new one and resend.